TINC America 2018 rate at Hyatt Regency Houston. This special rate is only available until August 9, 2018. Rooms start at $234/night, plus tax. 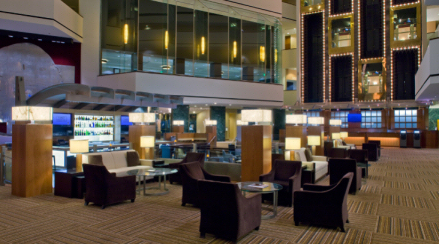 Urbane and urban, experience this premier downtown Houston, Texas hotel. Situated in the heart of downtown's thriving business and entertainment districts, Hyatt Regency Houston, a AAA four diamond hotel, is connected to high-end shops, restaurants, and services via the city's famous seven-mile tunnel. The TINC America Conference will take place in the Hyatt Regency's recently renovated meeting space, and when it's time to relax, retreat to your spacious accommodations and enjoy the plush Hyatt Grand Bed, state-of-the-art technology and thoughtful amenities.